Are you looking for a way to enhance your personal style but not break the bank? 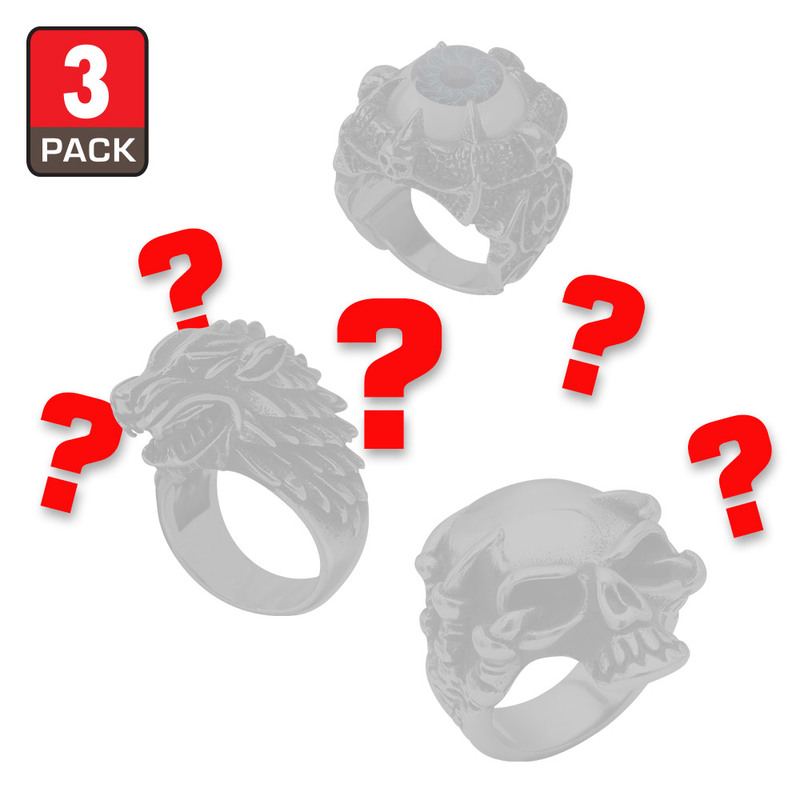 Our Three-Piece Mystery Men’s Ring Set, valued at $60, gives you three unique rings to help you expand your jewelry collection. The high-quality stainless steel construction of each perfectly crafted ring boasts a sheen, corrosion resistance and durability that simply can’t be matched by more traditional ring materials. You are getting three premium rings that are forged for a lifetime of vigorous wear, so you needn’t fear damage while tackling yard work, engine repair or other hands-on tasks. The Three-Piece Mystery Men’s Ring Set also makes a fantastic, memorable gift, and, available in sizes 9-12, we’ve got the right fit for any man. No two mystery sets are the same! Shipping was very fast. I got 3 very awesome quality size 9 rings: Skull & crossbones wearing an army helmet, Dead king with red jewel in his crown, & Dragon flame rings. Didn't find them on the site so maybe they were discontinued ones. Very very happy with the rings I got! Would totally recommend this amazing deal to a fellow ring lover! I got the 3 mystery rings size 10: stainless steel, all look good.1 ring, the lion with crosses, runs too big by a half size.